Orthopedie Roeselare is also a specialist in pediatric orthopedics. Make an appointment. 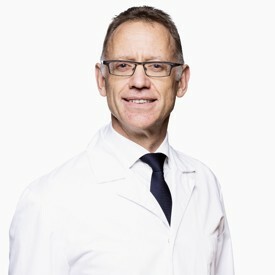 Dr Lieven Missinne is the paediatric orthopaedic specialist at Orthopedie Roeselare. He superspecialised in paediatric orthopaedics and surgery during a state-of-the-art fellowship lasting two years in New Orleans, USA with a year full-time in paediatric orthopaedics and six months in knee and spinal surgery. Therefore, the knee and spinal column are also part of Dr Lieven Missinne’s speciality in addition to paediatric orthopaedics.